We have entered that short period of time between the heat of summer baking hard our beds and autumn’s cold touch hardening the soil, so I saw the recent heavy rainfall as an opportunity to turn over a few empty beds in preparation for the new season ahead. 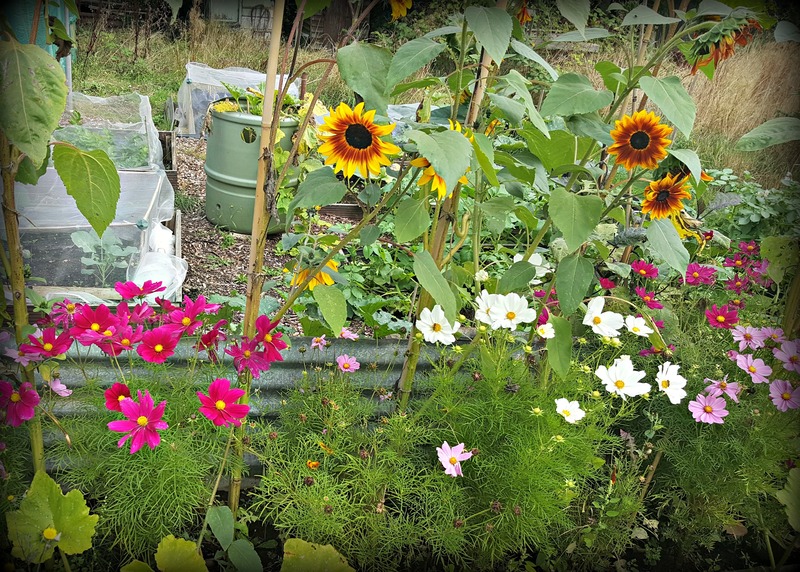 The recent deluge has done wonders for my plot, revitalising my flowerbeds and giving my vegetables an extra growth spurt. It has also softened the soil. Like many, I suffer from a bad back, so these last few days have been a godsend. Sinking my fork easily into the ground and turning it over without resistance or fuss means evenings tap-dancing across the kitchen floor without the slightest back twinge! If I was going to give one piece of advice to someone starting out on the allotment path, I would say this: turn your soil. As the soil hardens over the growing season and becomes compact, panning can occur. Not only can this prevent nutrients and water filtering into the ground, but the hard soil means flooding can occur during showers, washing away the nutrients. 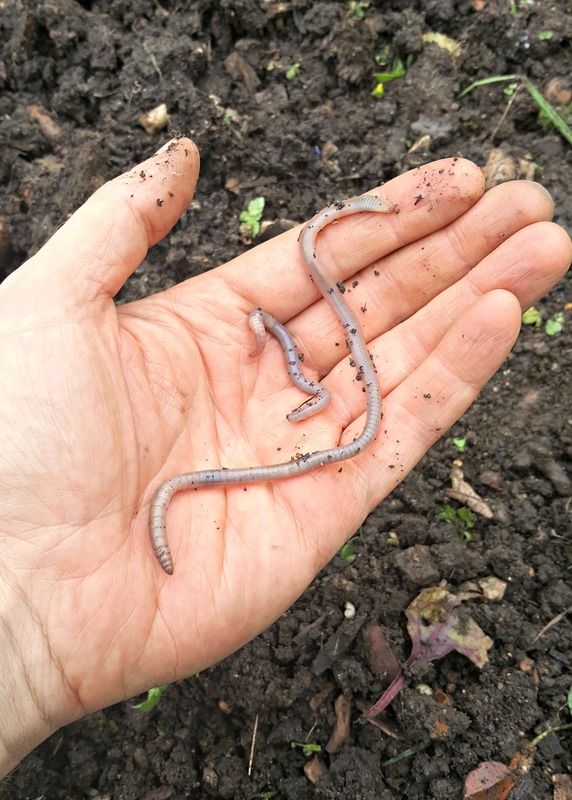 By turning the soil you are not only aerating it and breaking it down, you’re exposing the pests that have been harbouring there all summer, laying eggs in preparation for next spring to hatch and feed on your young and tender plants. If we get a cold winter this year, these newly-exposed bugs won’t survive. 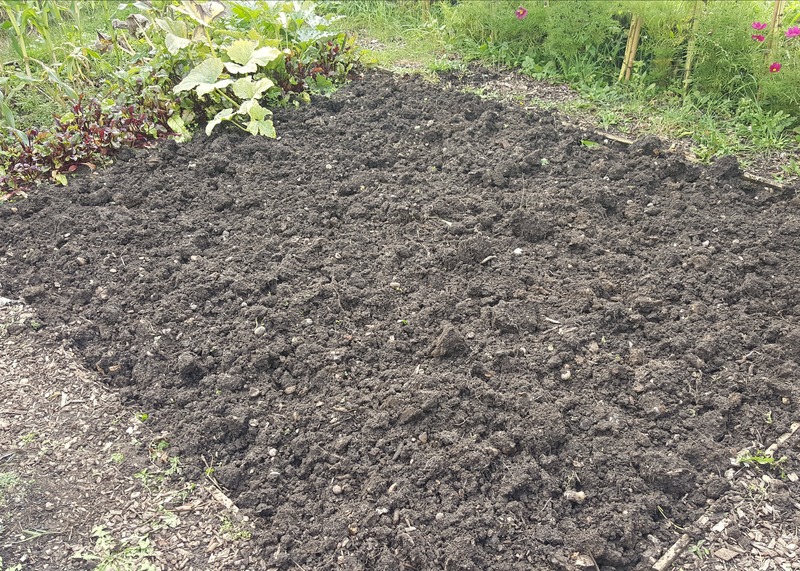 Even if you haven’t got compost or well rotted manure to add to the beds, turning the soil will hugely benefit future crops. This time last year, I created a little experiment. I wanted to see the benefits of green manure compared to well rotted manure. In fact, at the time I even created a video. Well, the results are in. 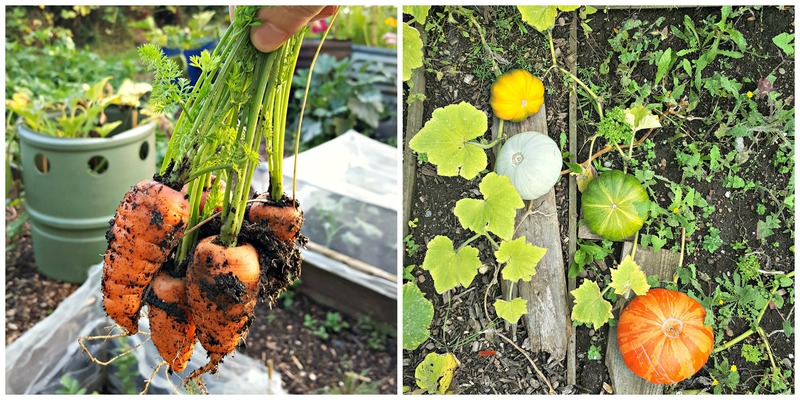 While the green manure flourished over the winter months, as spring set in and I took to chopping it up and mixing it into the beds, it soon became apparent that a lot of effort and time was needed to break it down. I also noticed that as summer took hold and the crops grew, these beds dried out quickly and needed a lot more watering. Finally, with the harvest season upon is, although I’ve had great results, the crops in the green manure beds haven’t grown as vigourously. In the beds where I applied well-rotted manure the previous autumn, the crops thrived and the beds didn’t dry out. Also, it was noticeable that a lot more earthworms took up residence in these beds compared to the green manure beds. But that’s it for now. Now it’s time to hit the kitchen floor and re-enact some of Fred Astaire’s slickest moves in a vain attempt to woo Agent Soph. Have to admit I love this part of the year. For me digging and turning the soil is a wonderful part of the allotment year. It makes me feel great and enthusiastic about the new season to come. I particularly like cold days, wrapped up when you see your breath.